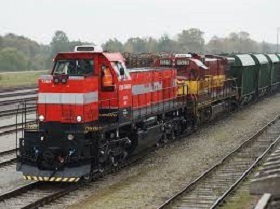 Freight shipment by rail in Estonia amounted to 6.6 mln tons in the third quarter of 2018, 5.8 % more than during the same period in 2017, figures available from Statistics Estonia show LETA/BNS. Domestic shipments, measuring 4.1 mln tons, decreased by 4.6 %. Transit shipments grew by 32.9 % to 2.1 mln tons. Shipment from abroad grew 11.5% to 352,600 tons and shipments to other countries declined 2.2% to 75,300 tons. Coal, brown coal, crude, natural gas and oil shale continued to be the top category of freight with 3.3 mln tons shipped during the quarter, 9.6% less than in the three months from July to September in 2017. The shipment of that category of cargoes took place entirely within the country. The shipment of chemicals, chemical and plastic products grew 31% to 1.6 mln tons. Transit shipments accounted for almost all of the shipments in that category. The shipment of coke and refined oil products surged 26.6% year over year to 905,600 tons. In that category transit shipments made up 377,800 tons, domestic shipments 239,200 tons and shipments from abroad 264,300 tons. The shipment of non-metal mineral products grew 35.3% to 307,800 tons, of which domestic shipments made up 214,300 tons and transit shipments 63,000 tons. Double reporting of some shipments may occur in statistics, as in domestic shipments the same goods may be transported to the destination by multiple carriers if one of them operates on the public railway and the other on non-public railway.